Lake Stuart N. , “Wyatt Earp, Frontier Marshall ,” Arizona 100: Essential Books for the Centennial, accessed April 21, 2019, http://speccoll.library.arizona.edu/online-exhibits-dynamic/az100/items/show/123. 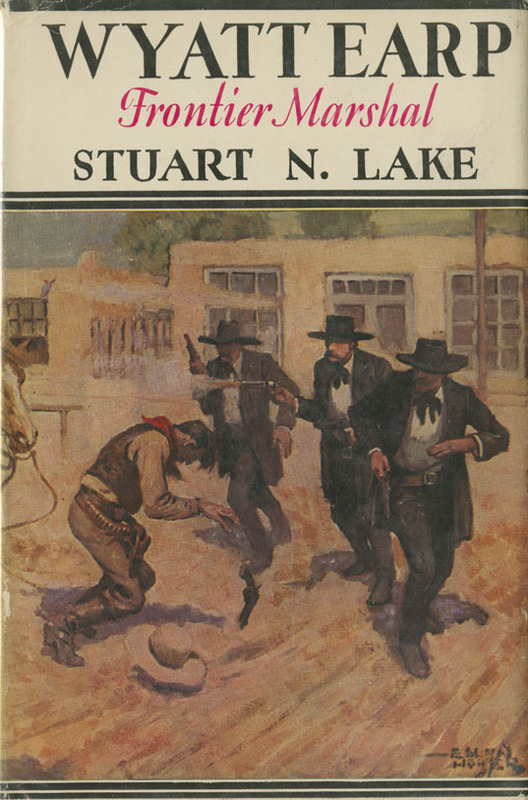 Journalist Lake (1889-1964) interviewed the laconic Earp during his last days and produced this epic biography that, along with movies and a 1950s television series, transformed the relatively unknown frontier lawman into a western icon. 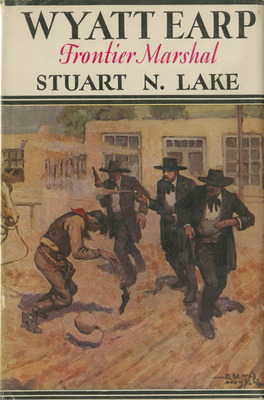 Despite its numerous historical flaws, it still makes for a rousing read and deserves credit for launching a frenzied interest in the Earp brothers and the mythic Old West that continues unabated today. --Bruce J. Dinges. Boston : Houghton Mifflin, 1931.
xi, 392 p.,  leaves of plates : ill., ports. ; 21 cm.